Baking & Comedy, The Perfect Recipe! At one of the overnight youth functions I supervised over the Christmas vacation, it was suggested by one of the kids that we watch Nailed it! as a pre-bed activity. The kid in question told us that it was a baking show, but really funny. I’m not a fan of baking shows, but I am a big fan of Nailed it! and the hilarity that ensues when people who absolutely cannot bake get in the kitchen to recreate Pinterest level projects. Now not everything the contests bake on this program turns out as horrifyingly hilarious as this, but this is about what you should expect. Coupled with the excellent direction and energy brought to the program from the hosts makes this easy to sit down and watch several in a row. Given that this is a Netflix original series, the show is aware that most people are going to sit down and binge this. Listen, I didn’t think I would, but I did. It really is that easy to do and there are a decent number of episodes that will allow you to keep the party going (either alone or with friends, it’s obviously better with friends). That said, I do suggest being somewhat conservative with these because you should never burn through something like this too quickly. On a personal level, Nailed it! hurts my soul. So many of the bakers are just awful. Not following directions, making obvious mistakes, etc… A lot of the time they get made fun of, and that can come off as mean spirited. It’s my only real complaint with the show, but most of the time they get constructive feedback and walk away learning something. This is evident in one of the episodes where they have some of the worst-of-the-worst return, and while they still do poorly, they did improve as a direct result of their past experience! I’d say it is generally a more positive show that pokes fun at people who know they can’t bake, which is good. Earlier I mentioned the hosts. Their are two static hosts, Nicole Byer and world-famous Jacques Torres, have excellent chemistry. Each episode a guest judge joins in on the action and they are almost always great in conjunction with the other two. It is really fun to watch them riff on each other and just generally mess around. If you somehow missed Nailed It! when it first came out, then you should go and give it a watch. It’s rare that you find something that can teach you something, be largely positive, but also offer a great deal of humor! 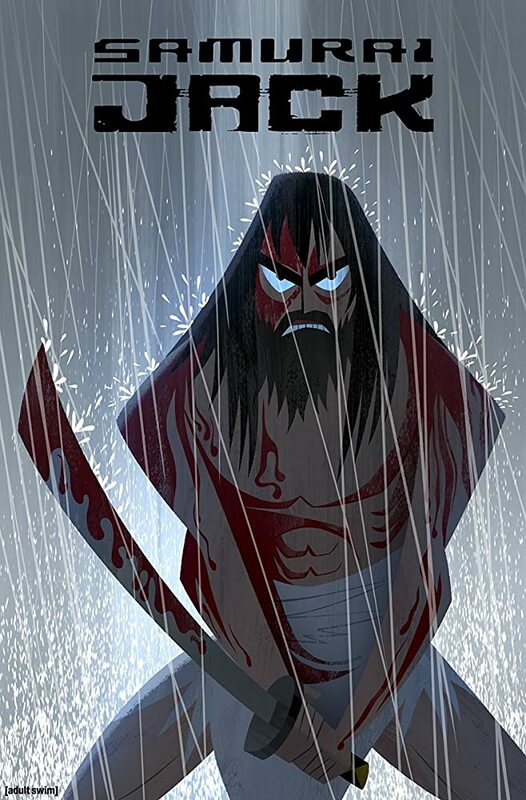 Netflix, you really have a winner here and I hope you do more episodes beyond the current three seasons. 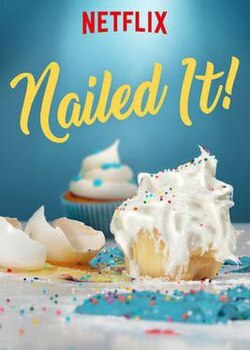 Have you seen Nailed It! before? What was your favorite episode? Tell me all about it in the comments below. If you would like to support my work please head over to my donation page via the button under this. Lastly, thanks for visiting today and hope to see you back here at Jon Spencer Reviews again soon! 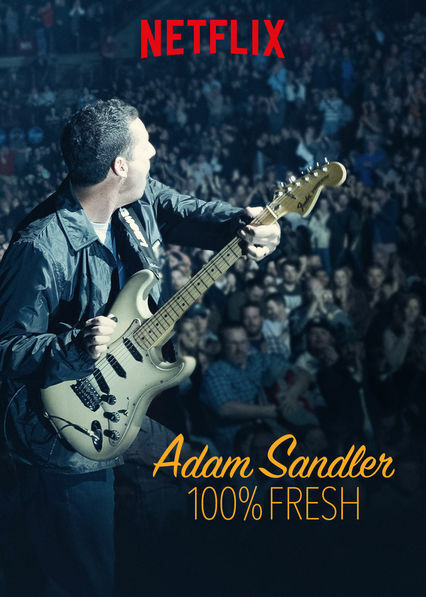 I have never done a full review of a stand-up comedy special, but there is something about ‘Adam Sandler 100% Fresh’ that is extremely noteworthy. “Special” is more than a word to describe it. In fact, this may be the best thing Adam Sandler has done comedy-wise in recent years. While he can be a great dramatic actor with films like ‘Punch-Drunk Love’, ‘Reign Over Me’, and ‘Men, Women, and Children’, his comedic efforts as of late have been nothing but juvenile and forced. Despite his brand of risqué toilet humor being portrayed here, it actually works to full effect. Never has something so dirty been so entertaining to watch and listen to. Today I’m diving headfirst into the weird as I explore VRV’s recent addition of HiDive to its service, and by extension, The Fuccons. It’s about an American family of mannequins that move to Japan. What else do you need to know, really? Alright, I suppose you do need a bit more than that because The Fuccons is one of those novelty type shows that can really catch you off-guard. As I’ve mentioned, this series centers primarily around the Fuccon family and their new lives in Japan. There’s the father, James, the mother, Barbra, and son, Mikey. Really though, this is a story about Mikey and the, surprisingly large, number of people he meets while living in Japan. Some of the memorable characters include: Teacher Bob and Bob-Mama, Blueberry King, Laura, and of course a lot more! They are not all great, mostly looking at you Time Boy, but the recurring characters that get a lot of screen time are fun to watch. You’ll easily find a few characters you want to see more of. The best way for me to describe this series is to compare it to a fever dream mixed with old Adult Swim shorts. It’s really funny for a show featuring mannequins and not much else. What really sells it is the voice work, either in Japanese or English, and just how unexpected the story actually is. If you were to give this a watch right now, you probably wouldn’t think much of it due to a fairly shaky start. I looked back after completing what Sentai has licensed (volumes 1-4) and was surprised by just how awful the first few episodes were. However, if you stick with it, and this is your kind of humor, this will be well worth your time. As you can see, the drama really ratchets up! Each episode is only a few minutes, so the investment is not large, even with as many episodes as there are. You can easily knock The Fuccons out in an afternoon or two on a rainy day. The only unfortunate thing is that the show does not have a proper resolution. There are more episodes, and even a film, of The Fuccons but they seem to have been largely lost to time. I did a cursory search for the film, and was able to find it available in Japanese only, but that’s about it. Does that resolve everything? I really don’t know since I currently have no way of watching it. Despite this, the series is at least worth a look if you have access to HiDive, VRV, or know somebody with the (relatively cheap) complete set that Sentai sells on their site. It is definitely one weird show, but I guarantee there is no other experience like this one! Apparently, HiDive makes this the only show available for streaming when they do maintenance too, which is pretty funny. Have you seen The Fuccons? Let me know your thoughts on it, or if you’ll be checking it out, in the comments below. 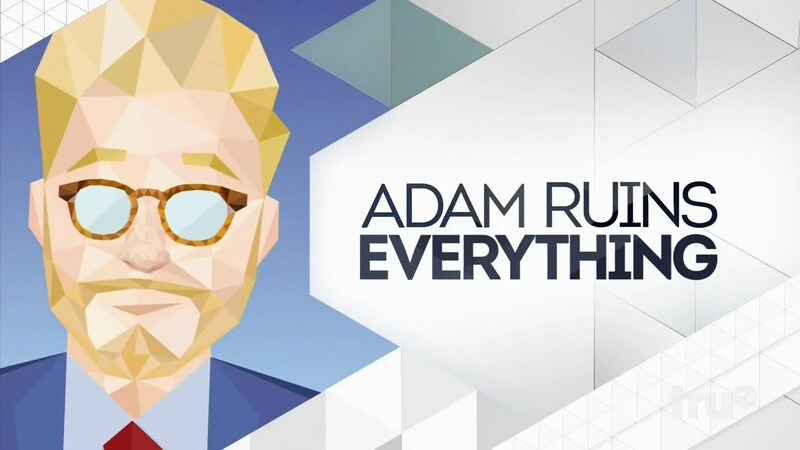 If you’d like to support my investigations into other unusual programs, then click my donation button below and toss a few bucks my way. I’d really appreciate it. Lastly, thank you so much for reading and hope to see you back here at Jon Spencer Reviews again soon! I may not have watched enough high school TV dramas to know, but something about the Netflix series ’13 Reasons Why’ makes it stand out above all else. It is not just the controversy, or its extreme popularity, I believe ’13 Reasons Why’ is the bravest show I have seen yet. Being that this is on Netflix, it manages to pull no punches when it comes to touchy subjects. Everything you see on this show feels too real, and may be enough to not just make you cry, but feel sick to your stomach. I received the same effect while watching, and must warn those not already on the bandwagon, that ’13 Reasons Why’ is not for the faint of heart, or the easily triggered. It is one of the saddest and most realistic depictions of high school this side of television. Creator Brian Yorkey and his crew of directors make sure that each episode leaves an impact on you, while keeping you on your toes for what happens next. Seriously, I Love this Show! I could probably do a full write up on 13 Reasons Why and how it is problematic but there are already a lot of posts out there about it. Instead, here are just a few of my quick thoughts on the Netflix original series. 13 Reasons Why creates an initial mystery that is compelling but quickly fizzles out by the end. A lot of this comes down to poor directorial decisions and sloppy writing in its second half. The show also handled a lot of its subject matter irresponsibly. This series really glorifies suicide and the creators (whom went out of their way to ask questions about what they should and should not do from experts) did just about everything that they shouldn’t for what they chose to show on screen. As I mentioned at the start of this article, there’s a lot on this series already floating on the internet. Take a few seconds to explore that on your own if you want to know more about that specific issue. For me, the real nail in the coffin was the ending. Netflix, pleases, stop leaving all of your stuff on sequel hooks. It’s ok to finish a show. 13 Reasons Why should be getting a second season but still! I want to note that while I didn’t like the show overall, I think parts of it were pretty good. Like I said, the start of the show was excellent. There were also some fairly humorous/interesting scenes regarding Clay’s anxiety induced hallucinations but in terms of enjoyment, that was about it for me. What season one left unresolved actually has me a bit interested so I’ll likely check out season 2, albeit a bit tentatively. I wouldn’t watch this if you are at risk of suicide, since it is going to make things worse. Also, some triggering topics for many in here as well. Just a heads up on that. I think that this show started a conversation, but in a irresponsible way. I wouldn’t recommend it outside of discussion purposes and only if you are prepared for the depicted material. to watch the final season, but didn't get the chance to. 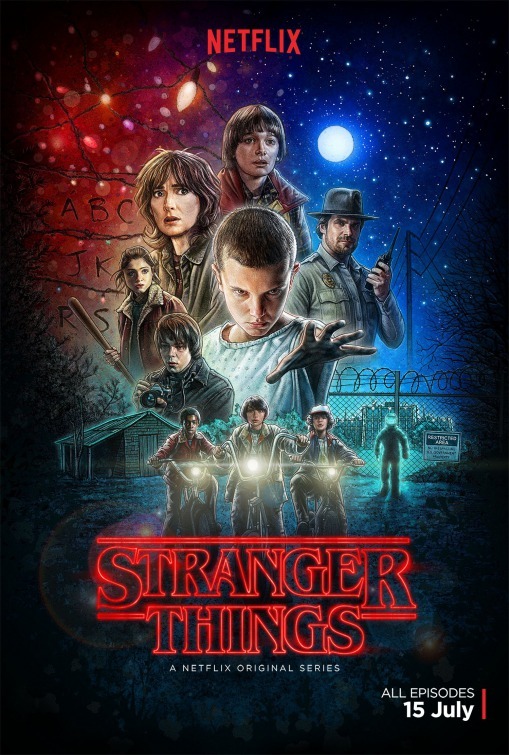 The way ‘Stranger Things’ feels to me is like a breath of fresh air; a lot of Netflix shows these days are so modern and like to fill our hearts with joy (‘Orange is the New Black’, ‘BoJack Horseman’, ‘Unbreakable Kimmy Schmidt’). Then all of a sudden, a show like this one comes along and takes you back to when phones felt like walkie-talkies, silverware was neatly placed in drawers, and homes looked fresh and new. It was the era of the 80’s; and although I wasn’t born in that decade, I could tell that it was a great one.